The story of this Scottish economist is truly extraordinary. Rake, gambler and founder of modern finance, Law was appointed Controller General of Finances of France under King Louis XV. Although his scheme to solve the financial crisis seemed at first to succeed and enrich people, in the end it just bankrupted the nation, forcing him to flee. 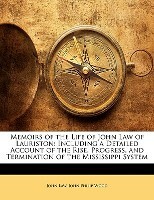 Some of the economic passages in the book aren’t too easy to understand, and the archaic language used only makes things worse, but it is still well-worth a read for those who want to know more about this man and the Mississipi system he created. Curious to find out with popular rhymes and nursery tales children were entertained with in the nineteenth century? Then this book is for you. It features plenty of tales and rhymes divided by sections such as Game Rhymes, Riddle Rhymes, Alphabet Rhymes, Nursery Songs and many more. The book is also full of notes to explain how some of these games were played, how they originated and many more interesting tidbits. A very entertaining and enjoyable read. A short memoir about one of the less remembered Queens of England, Adelaide of Saxe Meiningen, consort of King William IV. I believe this Queen has been so neglected because her life wasn’t particularly eventful and she didn’t make much of a mark while on the throne. She led a simple, parsimonious, some may say boring, life. She was also very religious, modest and did many charitable deeds. She was dedicated to her husband and improved his coarse manners, but the couple had no surviving children together. Very beloved by the people, she was however hated by the reformers for being a Tory supporter. If you want to know more about her, read this memoir. It’s a lovely way to spend an afternoon. Written by an anonymous merchant who ended up in prison for committing a crime in order to save his business. His book gives us an interesting insight into what life was like in Victorian prisons, where all convicts were assembled together, regardless of what crimes they had committed. The author describes the interactions among all these different criminals, their daily life, the work they had to do and just any aspects of prison life. He also had to spend some time in the hospital prison where the doctors, suspicious of prisoners faking illnesses to gain some small privilege, treated him so badly that his leg had to be amputated. The author also offers some suggestions on how prison life could be improved and explains how difficult it was for an ex-convict to lead a honest life. A thought-provoking, highly interesting read I recommend to everyone. 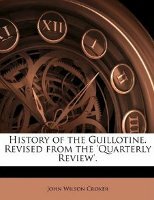 A short book about the history of the Guillotine. Its discusses when and how it was created, how and why the French Revolutionaries decided to use it, who the first victim was, and lots more interesting tidbits. The book also contains short accounts of the deaths of some of the most famous victims of the guillotine, such as Louis XVI, his wife Marie Antoinette and his sister Madame Elizabeth. At the end, there is some information on the executioner Sanson and his family, plus an account written by Sanson about Louis XVI’s behaviour on the scaffold. A must read for anyone interested in the French Revolution. Have you read these books or are you planning to?